The O-Rama series returns! Remember Thai-o-Rama? Portland area food bloggers ate at all 12 Portland Thai food restaurants and had so much fun that we O-rama'ed for another year on various topics. Enthusiasm eventually wained, but now that food trucks have come to Portland, we've come out of retirement to O-rama again! A. of Portland Food Map coordinated the effort as usual, and I volunteered to cover El Corazon and Bite Into Maine. 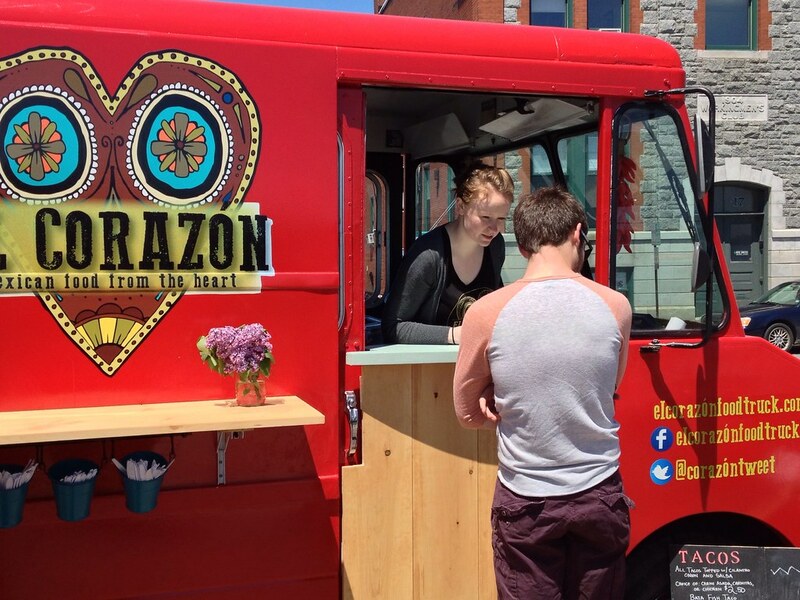 I first saw El Corazon at Flea Bites, the First Friday food truck and vintage shopping event at Portland Flea-For-All. It was their premiere, so they sold out while I was waiting in line. Not to be deterred, I sought them out for lunch on Saturday, where I found them in their usual spot on Commercial St. at the bottom of Franklin St. They were serving tacos, burritos, taquitos, tamales, and their Sonoran (bacon-wrapped) hot dog. I ordered a round of tacos, carnitas ($2.50) and two fish ($2.75 each), and some potato and cheese taquitos ($3.75 for 3). (Yes, tacos and fried tacos, thank you.) The carnitas filling was a little dry, but tasty and simple. The corn tortillas are substantial as far as support, but light in texture indicating that they're housemade. 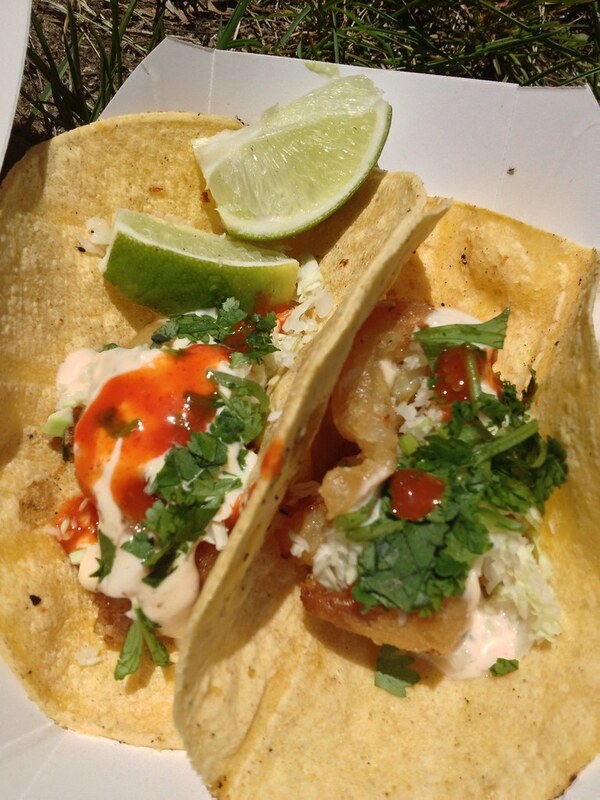 The Baja fish taco was excellent, with a spicy, creamy sauce, crunchy slaw, and small bites of lightly fried white fish. I very much enjoyed these. A. got a carne asade burrito ($5.50), and while it disappeared quickly, I took a bite that was very flavorful. 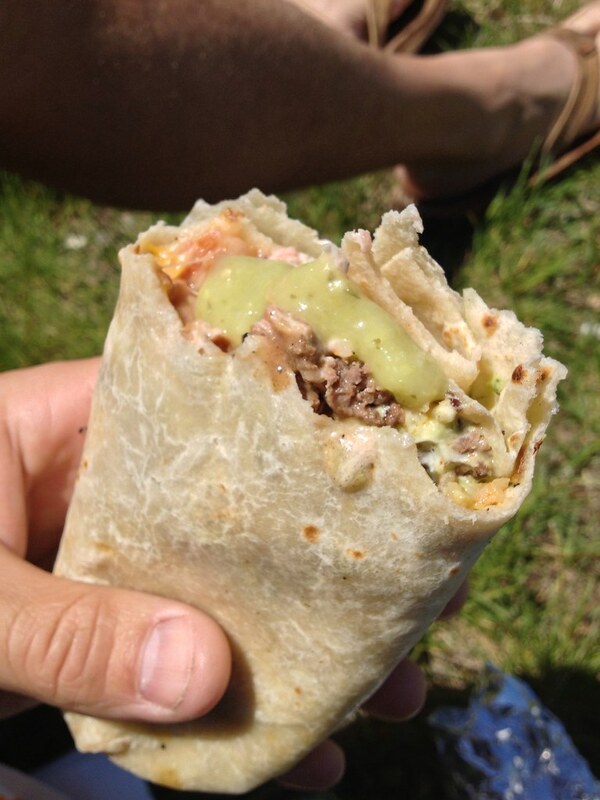 In addition to the meat, the burrito was full of refried beans, rice, cheese, guacamole, sour cream, and salsa verde. The taquitos were great too - crunchy and full of mashed potato (I was expecting those tiny adorable potato cubes) and cheese and then covered in more cheese, sour cream, and guac. Very decadent. Topped off with a pineapple aqua fresca, we had a filling, inexpensive lunch that was a great sampling of Mexican food. I recommend you seek out El Corazon. They post their schedule on their website, and also use Instagram, Twitter, and facebook to announce their daily location. 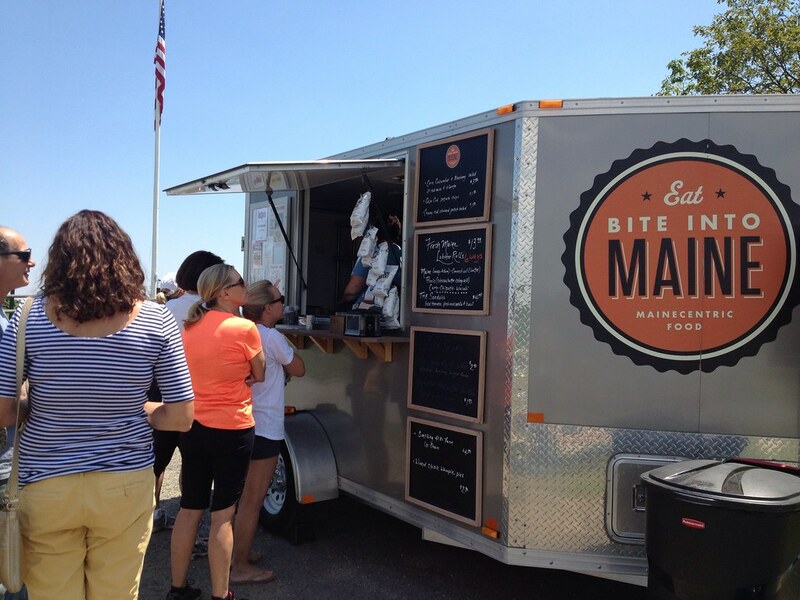 My next food truck lunch came from Bite Into Maine, the lobster roll cart in Fort Williams park in Cape Elizabeth. Bite Into Maine has been there for a while (this is their second year?) and owners Sarah and Karl have been instrumental in helping to change the legislation that allows food trucks in Portland. 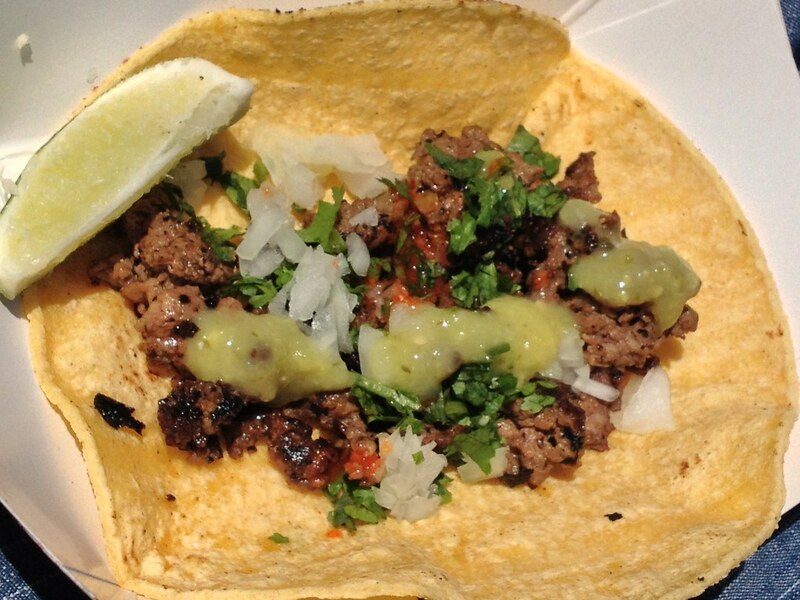 So they're sort of the godparents of the Portland food truck movement. 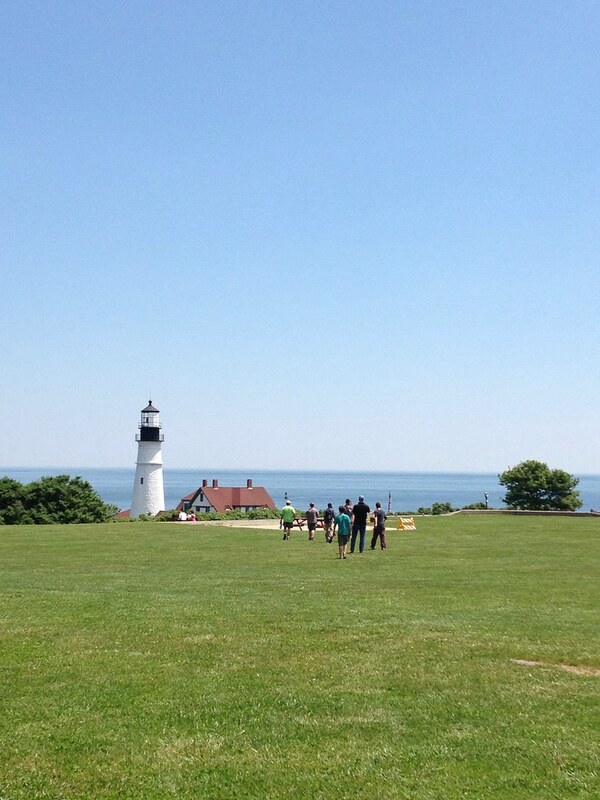 The BIM cart is parked scenically on the top of a hill overlooking the lighthouse at Fort Williams and the ocean beyond that. When I went, it was a beautiful day with many tourists lining up for lobster rolls. After chatting with Sarah and Karl (who are wicked nice), I ordered a picnic style lobster roll ($13.95) and a corn, cucumber, blueberry salad ($3.95). 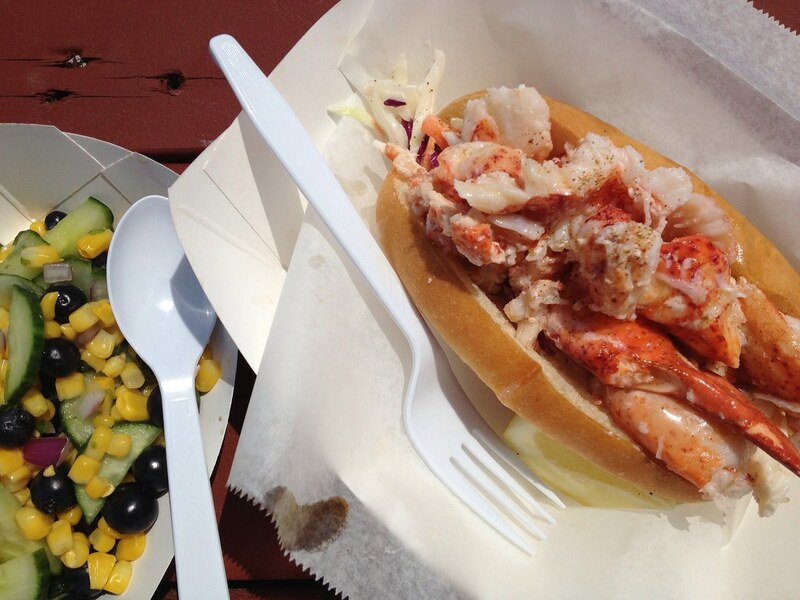 Picnic style lobster comes dressed with hot butter and celery salt and is served over a bed of cole slaw inside the split top buttered, toasted bun. Rolls are also available Maine-style with mayo and chives, Connecticut-style with hot butter, Wasabi, Curry, and Chipotle. This was easily the best lobster roll I've had. I don't tent to order them too often (pricey, potentially bad), but I would if they were all like this one. The lobster was tender, in bite-sized pieces (avoiding potentially ending up with lobster meat in your lap), with a nice crunch from the cole slaw. The addition of butter was seamless, adding a nice flavor without overwhelming the meat. The corn, blueberry salad was good as well with red onion and cilantro, but paled in comparison to the delicious lobster roll. 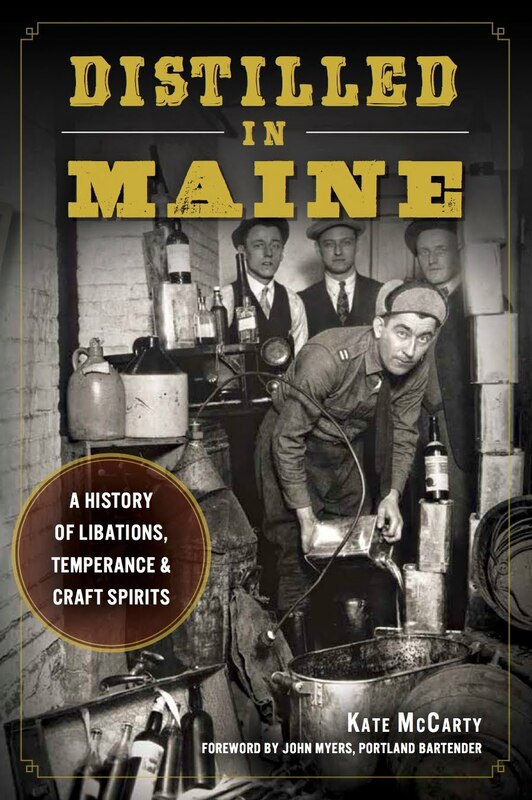 BIM also sells Maine Root soda, Moxie (and Diet Moxie, which I did not know existed), whoopie pies, and kettle chips - lots of great treats to round out your lunch. 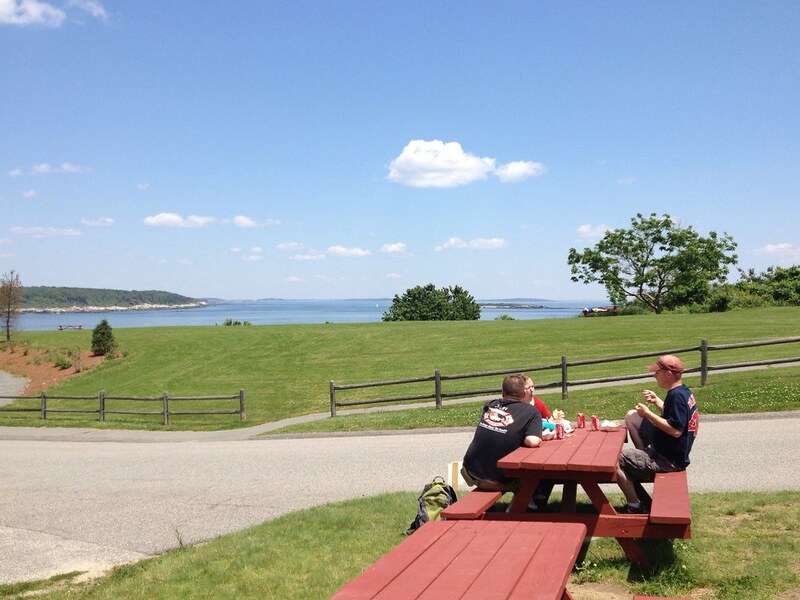 The food cart does travel (I saw them at The Festival on Friday night), but for the most part is at Fort Williams daily from 12-6pm. Check their schedule before you go. 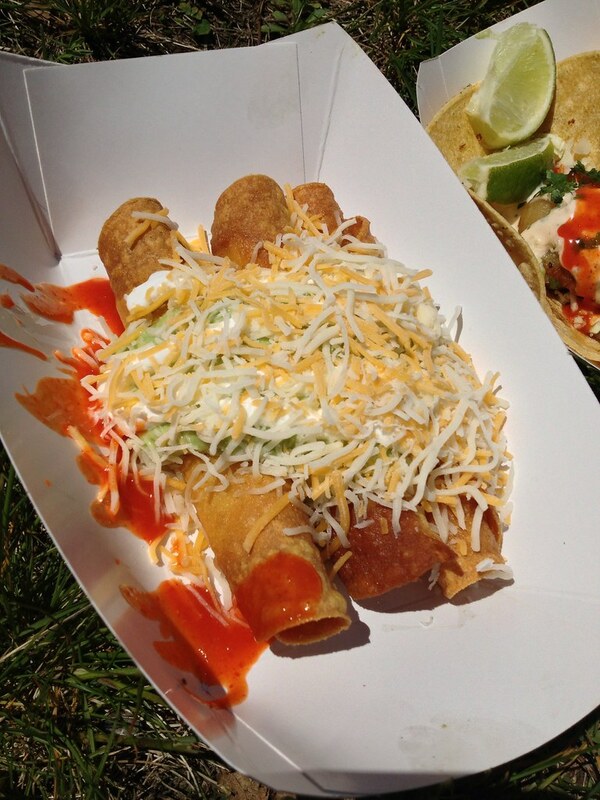 Find the links to more food truck coverage on Portland Food Map. I was invited to tag along on last night's Dishcrawl - think pub crawl, but with restaurants, and strangers instead of your posse. 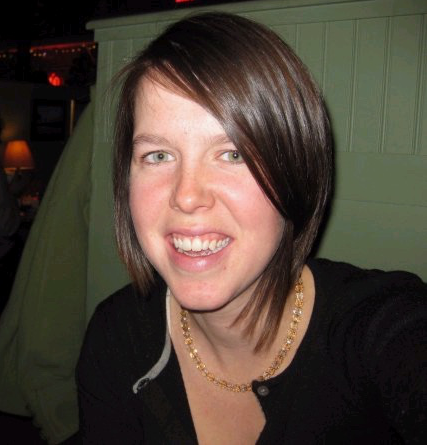 Dishcrawl is a national event, but was brought to Portland by local Mary Soule. 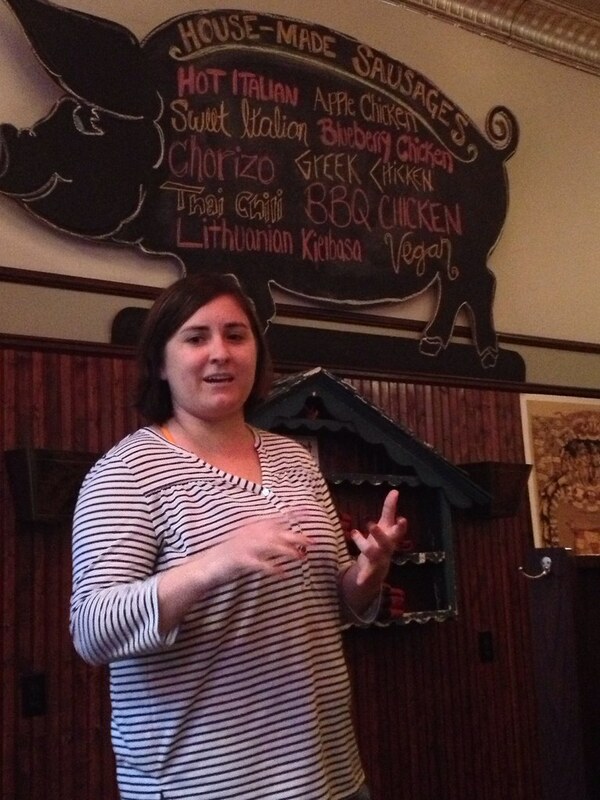 She's very enthusiastic about Portland and its food community, so she was a perfect, welcoming host. 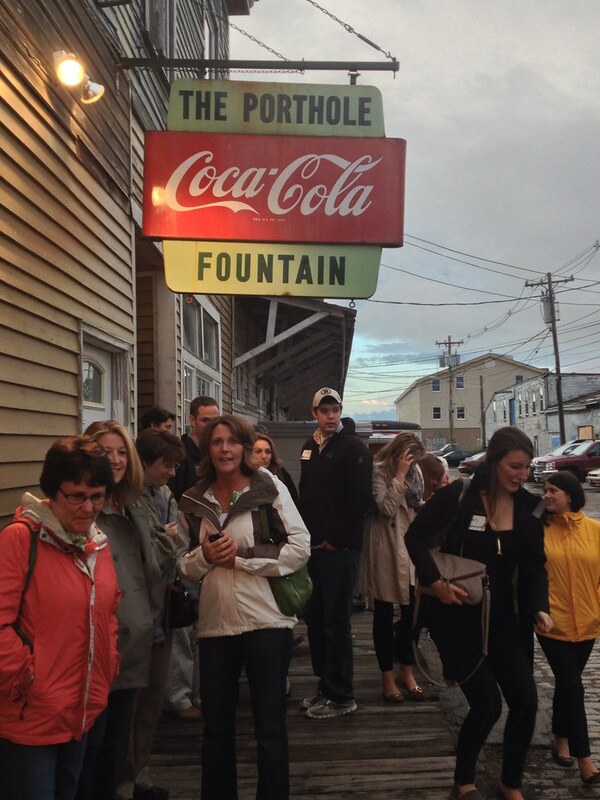 We started the evening at The Porthole, with the rest of our stops remaining a secret. We were given about 20 minutes to mingle and to get a drink, and Mary did a nice job of circulating and introducing people to get the crowd warmed up. There were 20 of us on this tour, as one of our stops was small, but Dishcrawls normally can accomodate 30 people. To begin our program, Mary introduced herself and Dishcrawl, which aims to highlight an area's food culture while creating community. There isn't much more of program other than that provided by the chefs (which varies depending on the chattiness of your chef), so chatting up the other Dishcrawlers while you wait and then eating is the majority of your evening. 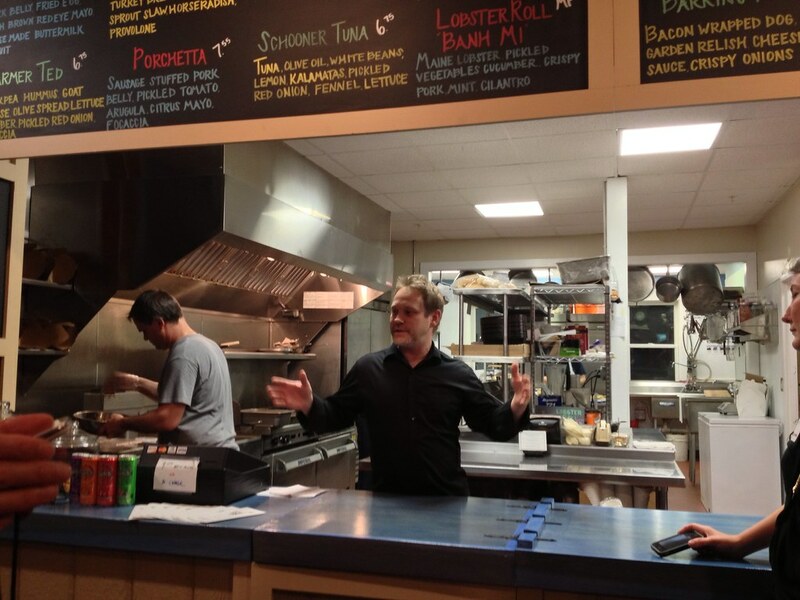 At the Porthole, Chef Jesse Poirier introduced their new menu items, which include locally produced food wherever possible. 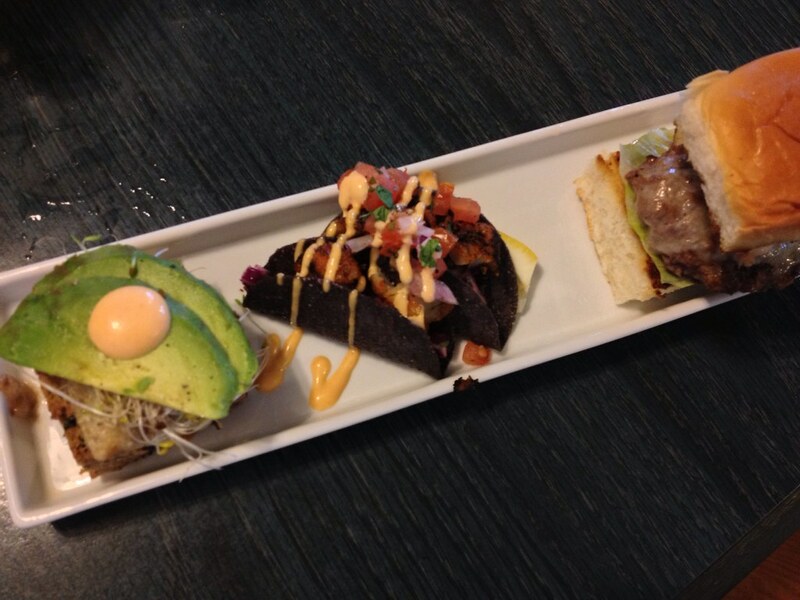 We were served a veggie bean burger, adorable fish tacos, and a "Surf and Turf" burger topped with lobster tail. Everything was delicious, with the burger as the standout item - the patty was cooked medium and the sweet lobster meat and brioche bun were a nice compliment. After Allison told us about The Thirsty Pig and her involvement with Maine Beer Week, we were served a trio of meat - a Lithuanian sausage with Morse's sauerkraut and grainy mustard, a chicken sausage with caramelized onions, and Allison's dad's recipe for pulled pork, which includes grape jelly and Bourbon in the sauce. 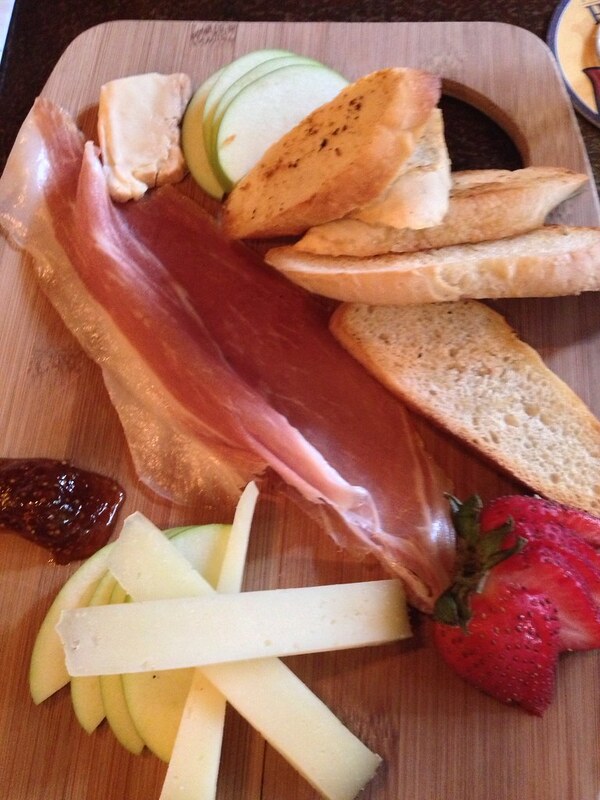 Again, all are housemade and use local products when possible. I didn't have a favorite here - they were all equally delicious. Yes, I say that even including the chicken sausage. 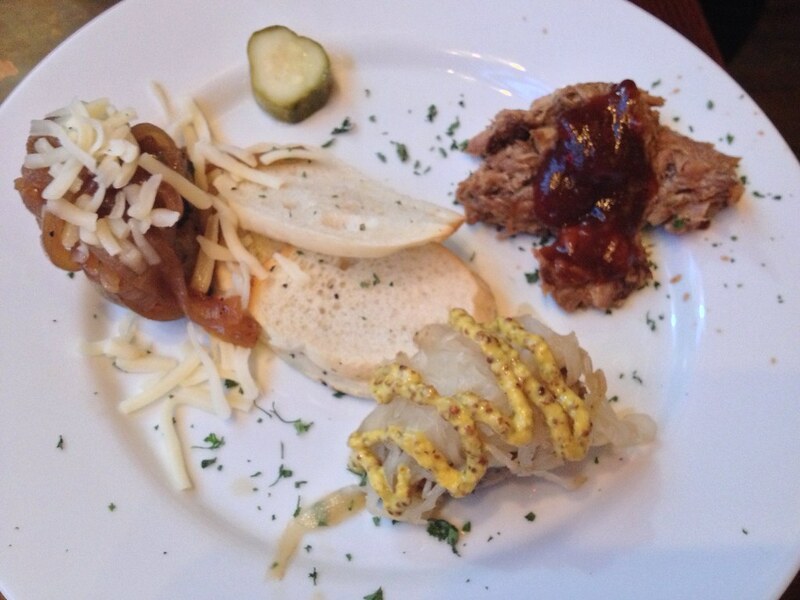 The Lithuanian sausage was nice and sweet, the pulled pork everything that it should be - sweet, tender, spicy. After heading up the hill more and then down the tiny alley to Dana Street, I knew we were headed to Blue Rooster Food Company and that tot-tine was in my future. After crowding into the small lunchtime and late night eatery, we were treated to an introduction by the friendly chefs, Dan McCarty and Damian Sansonetti. Dan explained their culinary backgrounds (impressive) and their concept of high-quality "low brow" food at reasonable prices. Not having had any of their sandwiches, I was excited to try the biscuit I'd heard so much about - this time with fried chicken, house made Ranch dressing, and a root vegetable slaw. It was fantastic. Unfortunately, this sandwich only appears as a special, but you can try the biscuit with their Red Eye breakfast sandwich. 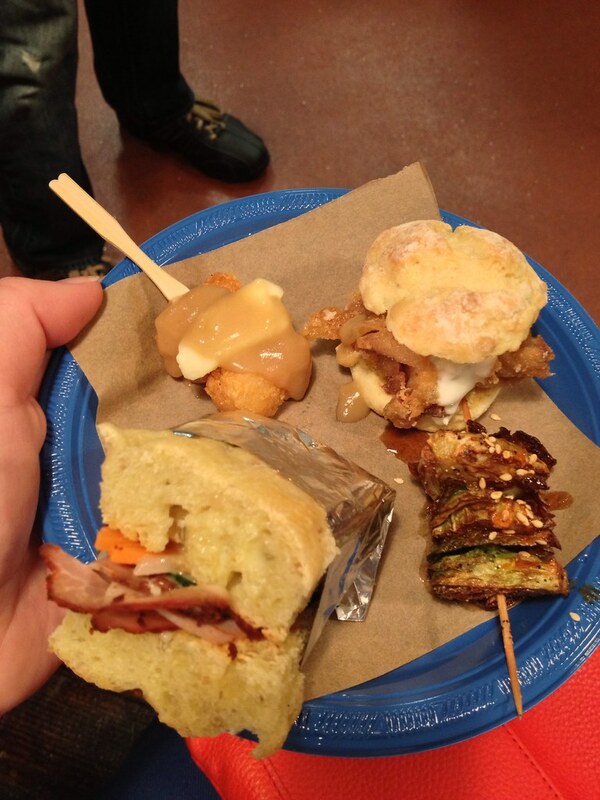 We were also served a Tasso ham Bahn Mi, tot-tine, and my favorite (more than the tot-tine! ): fried Brussels sprouts with sweet chili sauce. To finish the evening, we headed to The Salt Exchange, where I've never spent much time. 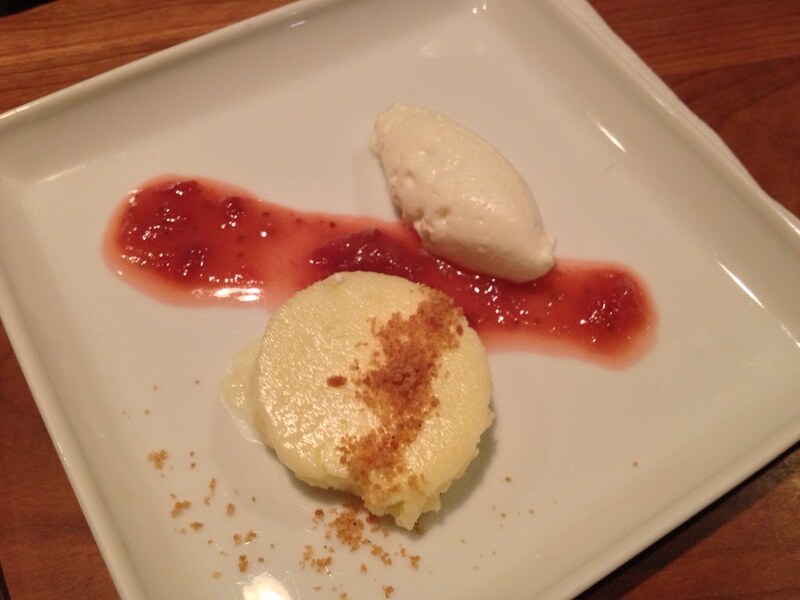 We were served a dessert of goat cheese cheesecake, with a strawberry rhubarb coulis and honey-sweetened whipped cream. It was fantastic and gone in no time. I finished the evening chatting with some Dishcrawlers while I enjoyed a cocktail from the bar. The tour finished at about 10pm. I enjoyed my experience, and heard from a lot of participants that they were in places they'd never been or never would have thought to try. 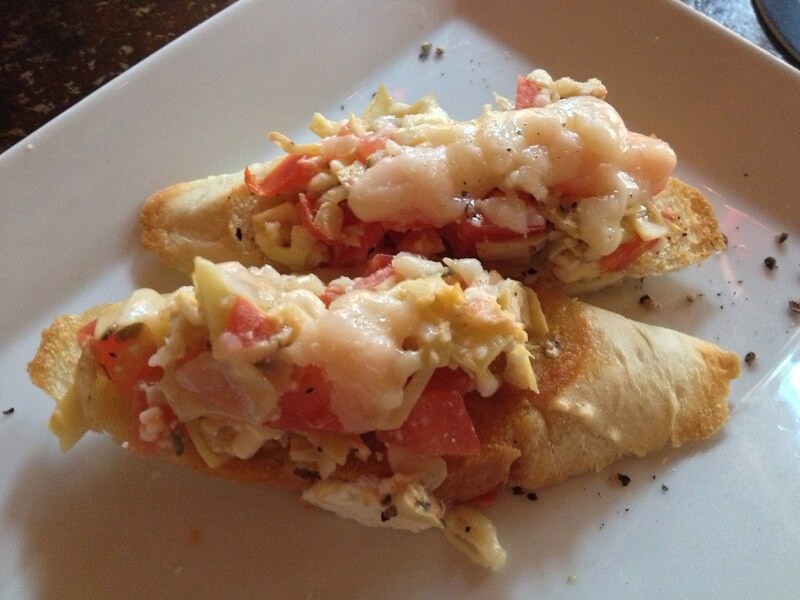 So Mary is accomplishing the mission of Dishcrawls to connect locals with new restaurants. These tours are aimed at locals, with Dishcrawls being offered more frequently in the winter when the restaurants aren't as busy. 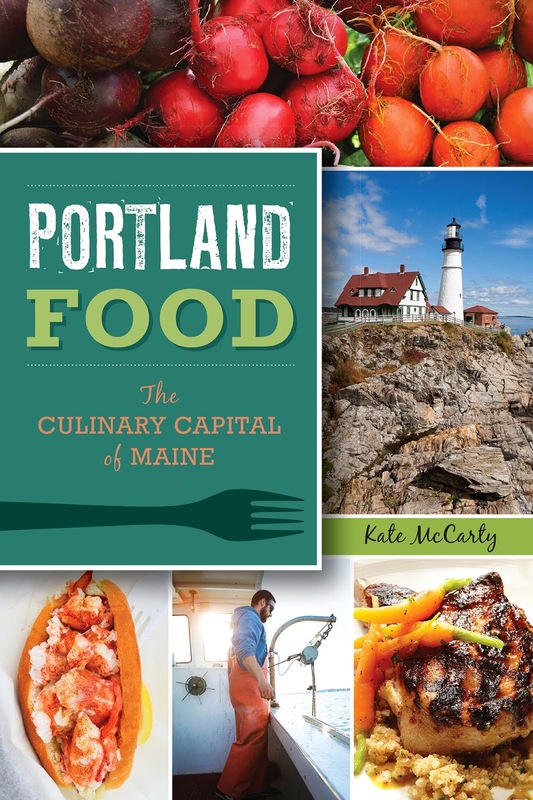 Just like the Maine Foodie Tours, this would be a fun thing to do if you live in Maine and have out of town visitors. You might even make new friends and you will definitely have some good food. I had an unusual experience Saturday evening. Someone asked me where they should eat. 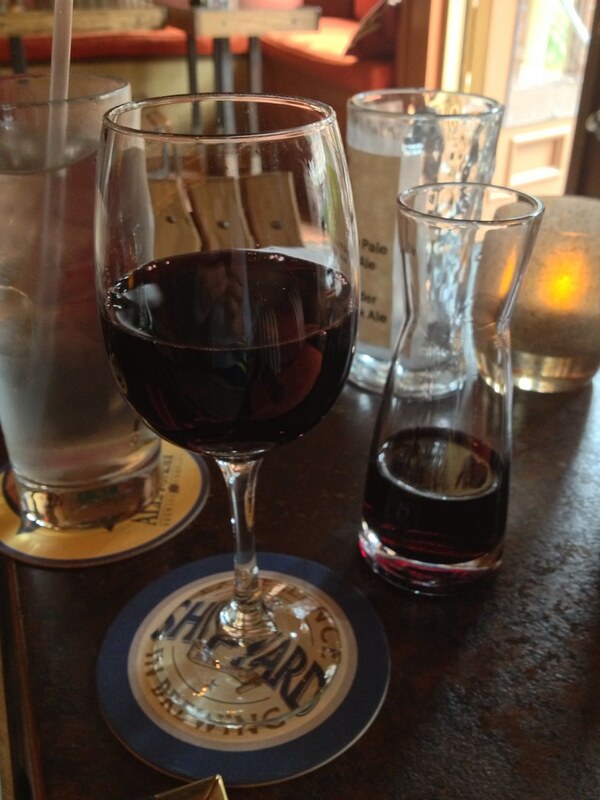 That's not the unusual part - as a food blogger, I can talk about eating out in Portland at length. You might actually get more than you bargained for in that conversation. My half-hearted shrug then elicited a plea for a better dinner recommendation, and after trying unsuccessfully to see if they could get to Fuji on Exchange St (they wanted sushi and hibachi), I realized that the group was from way out of town. So my attitude changed, and I declared, no, you shouldn't eat here. And this is nothing against Sapporo - I ate there that night, after all. But rather, if you're coming to Portland for the weekend, a fairly generic sushi restaurant that could be in any city or town is not where you should be spending Saturday night. Well, we've heard of Fore Street... they said, after my (admittedly half-hearted) suggestion for Vignola/Cinque Terre was met with a lukewarm response. But I couldn't in good conscience send them there. They were young, one of the guys was already kind of drunk, they'd spend way too much money without realizing what hit them. So I looked up and down Commercial Street and could not come up with a place nearby to send them that'd I feel good about. And in my head I'm thinking of all the restaurants down Commercial St, supposedly the "It" spot for tourists. The Farmers' Table? No, reportedly not good. J's Oyster? No, too divey. Andy's or RiRa? No, both too pubby. 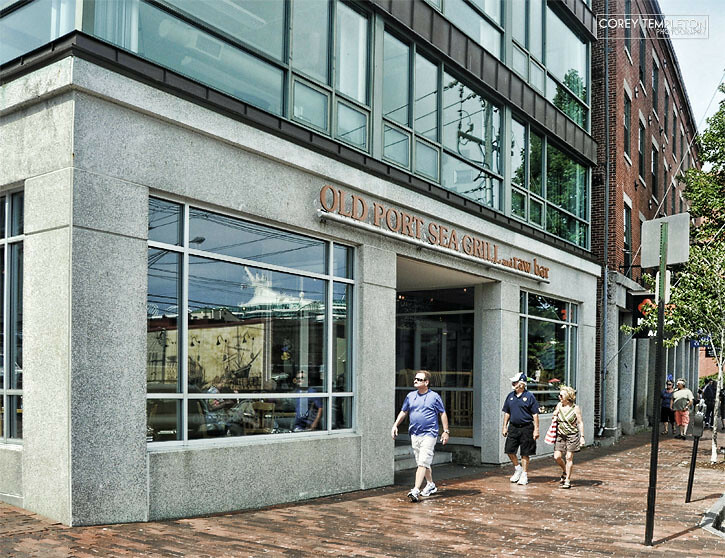 And then I hit on it: Old Port Sea Grill. A good mix of fried and not-fried seafood, a nice environment but one where Mr. Already Drunk would still fit in, good cocktails, and a big fish tank. Perfect. I sent them down the street promising them a good Dark and Stormy in their future and felt that I'd done a bunch of tourists right by Portland. So how'd I do? (Writing this now, I realize that In'finiti would have also been a nice option, although I think the food is mixed.) 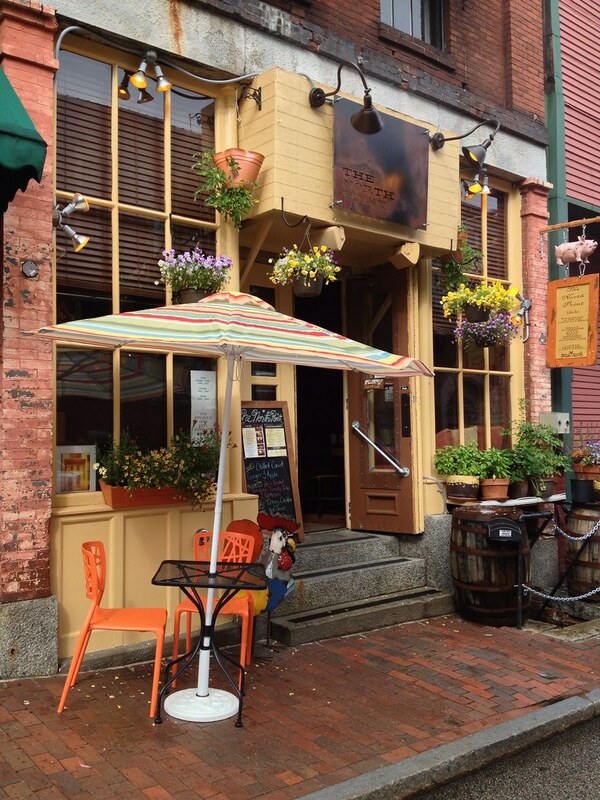 Where would you send someone to eat from Commercial Street (keeping in mind that they were directionally impaired)? Isn't it kind of odd that they aren't better dining options down on our main tourist drag?